It's good to be Lyft right now. The company announced on Tuesday that it has raised a fresh $600 million from investors. The new funding bumps up Lyft's valuation to $7.5 billion -- still far short of Uber's estimated $68 billion worth. The news comes at an interesting time, as Uber's ethics and company culture are being sharply criticized. A former female engineer alleged sexism and harassment at Uber in February. The company hired Eric Holder to conduct an investigation, which is supposed to close at the end of the month. Uber is also fighting a lawsuit against Alphabet's (GOOGL) self driving car unit, Waymo, which is accusing Uber of stealing trade secrets. And in January, a boycott of Uber went viral. Social media users urged customers to #DeleteUber after the company was perceived as breaking up a taxi strike of drivers protesting President Trump's travel ban. Lyft said it saw a 60% increase in new passenger signups the week after the #DeleteUber debacle. According to a source, Lyft has been fundraising since late last year, just before Uber's troubles began. But Lyft has used Uber's situation as a chance to position itself as the ethical alternative to Uber. And apparently, Lyft's new investors agree. "Every ride we requested began with our asking the driver which service they most preferred to drive for. Time and again, the answer was Lyft," wrote Vincent Letteri, director of private equity at KKR about the firm's decision to invest in Lyft. "In our analysis, we also saw a mature, focused management team that stands out." Letteri cited Lyft's new Round Up & Donate program -- announced at the end of March. It's one way the company has worked to generate a more wholesome image for itself. It gives passengers the ability to round up fares to the dollar, donating that change to a charity of choice. 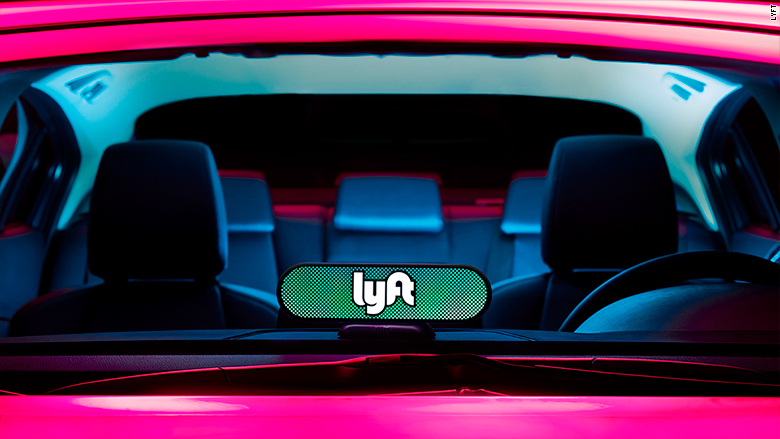 In addition to new funding from existing investors, Lyft's latest round of funding comes from new backers like KKR, AllianceBernstein, Baillie Gifford, and Canada's Public Sector Pension Investment Board. "We have big plans on the horizon, and will continue investing in new technology and hospitality in order to create experiences that passengers and drivers will love," said cofounder John Zimmer in a statement.